New year, new helmet partner, new look. The Spring League’s 2019 season gets underway this week in Austin, Texas. Today, The Spring League and Riddell unveiled a sharp and distinct new look. 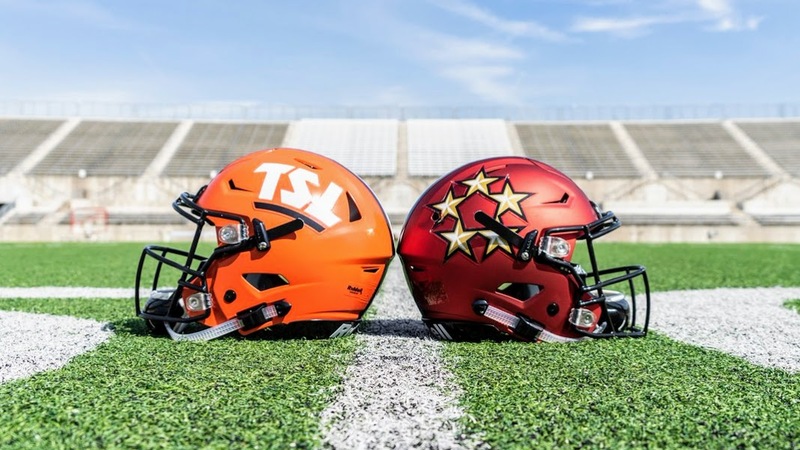 The orange TSL helmets will be worn by The Spring League’s East, West, and North squads. The Spring League South squad has been re-named the Austin Generals, in homage to our host city, and will feature a separate look and feel. Stay tuned for more Uni-Watch updates from Austin, Texas! Next Wish you were playing in The Spring League in Austin? Applications for Summer Showcase Now Live!